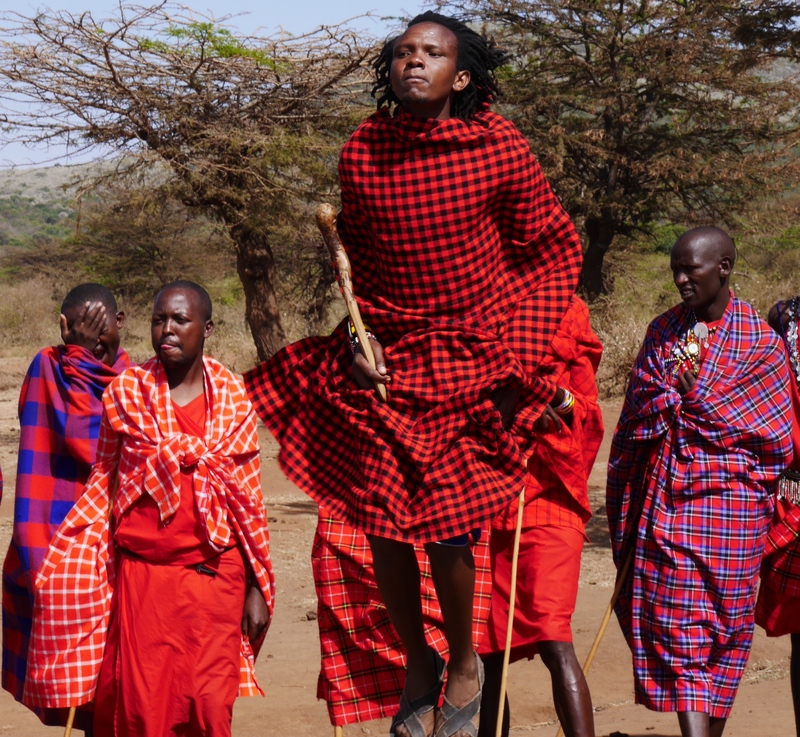 The Masai are instantly recognizable from their dress: they traditionally wear a ‘shuka’, a brightly coloured and plaid patterned sheet. The predominant colour is red, apparently to warn off predators (the communities often live close to lions, leopards and hyena amongst others). Similar to tartan, different families will often have different patterns. Both men and women wear an impressive array of intricate beaded and metal jewellery. Piercing and stretching of the earlobes is common. Everyone wears the same sandals, which are made within the compound: traditionally they were made from cow hides, but the group explained how using old car tyres now means they last for years. Homes, made from a mix of mud, sticks, grass and cow dung, are built in a circular compound surrounded by a thorny acacia fence. 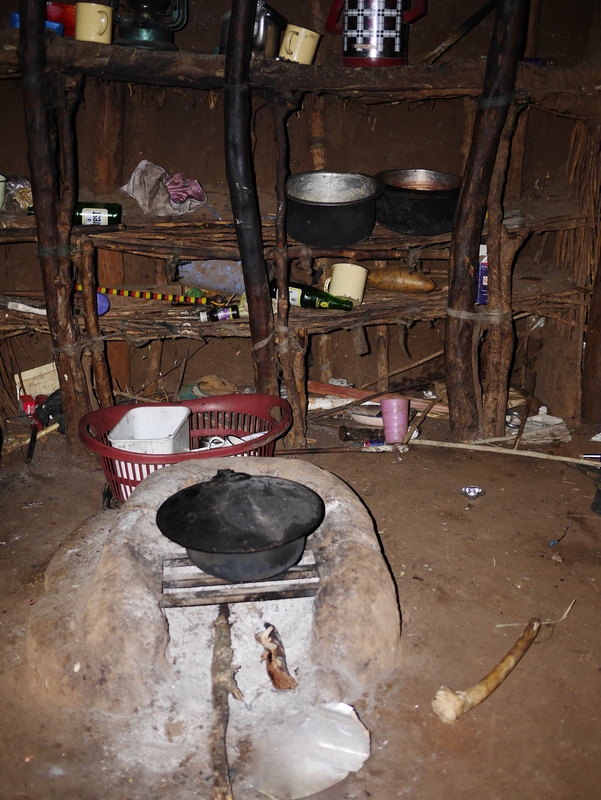 Each home is quite cramped, with usually two beds (one for the parents, one for the children), and an open fire in between for cooking. A young calf will live in the small entrance area, for extra protection. Inside one of the huts. The beds are on either side of this central cooking fire. 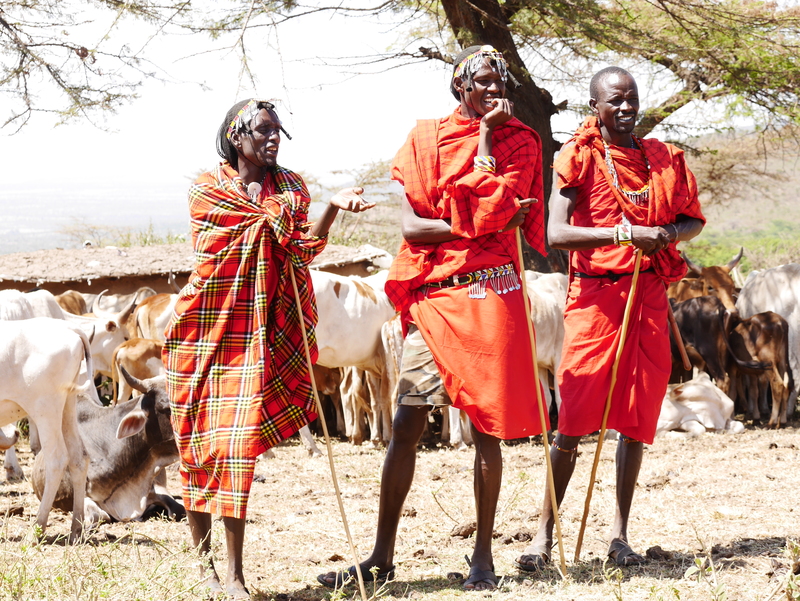 Cattle are kept in the centre of the compound, protecting them from potential predators (especially lions). They provide the community’s diet, which consists of meat, milk and blood. (Sometimes, the latter two are mixed together before drinking; the thought of which was just about the final straw for my stomach, I have to admit.) There are traditionally no vegetables, and no fruit: even crop growing is rare, given they are usually trampled by elephants. So that’ll just be meat, milk and blood, then. 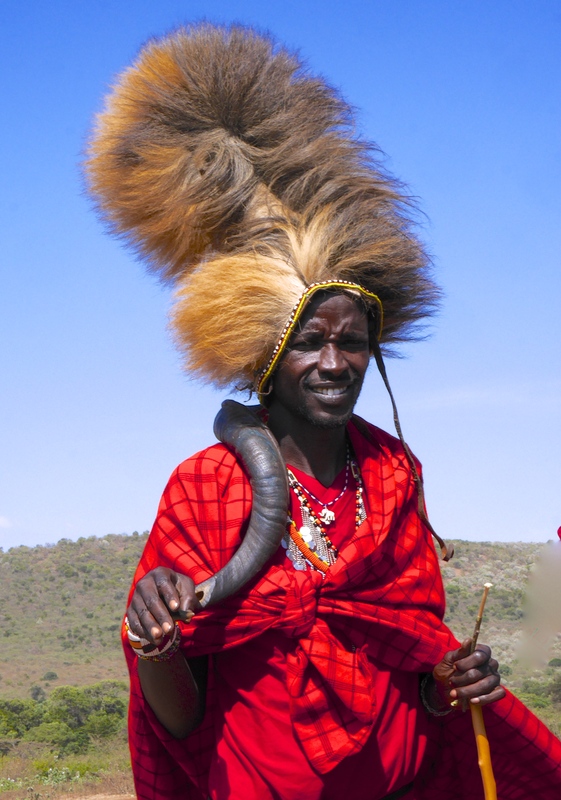 At the age of around 14, groups of boys go through a formal initiation process to become warriors. This involves circumcision (there’s no anaesthetic, but it’s an important sign of your manhood that you don’t openly show any signs of pain). 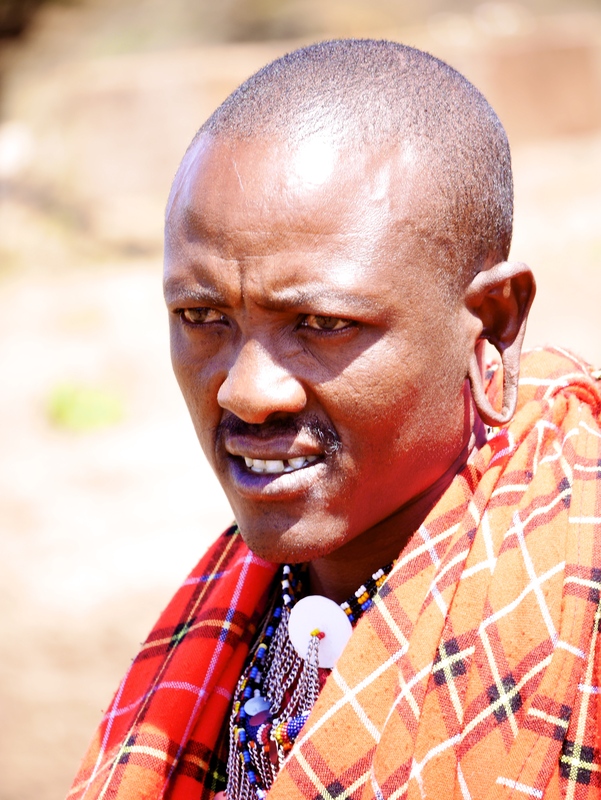 They then spend several months living separately from the rest of the community, studying cultural traditions around becoming a warrior, traditional medicines and even how to create fire from dry sticks. 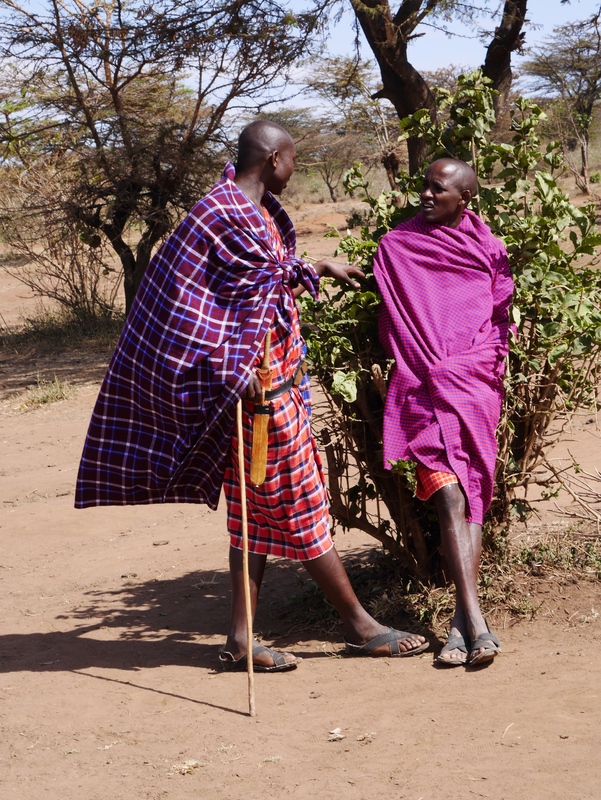 It wasn’t discussed when I visited, but I gather circumcision for girls (female genital mutilation) is still common in many of the communities, despite being illegal in Kenya. 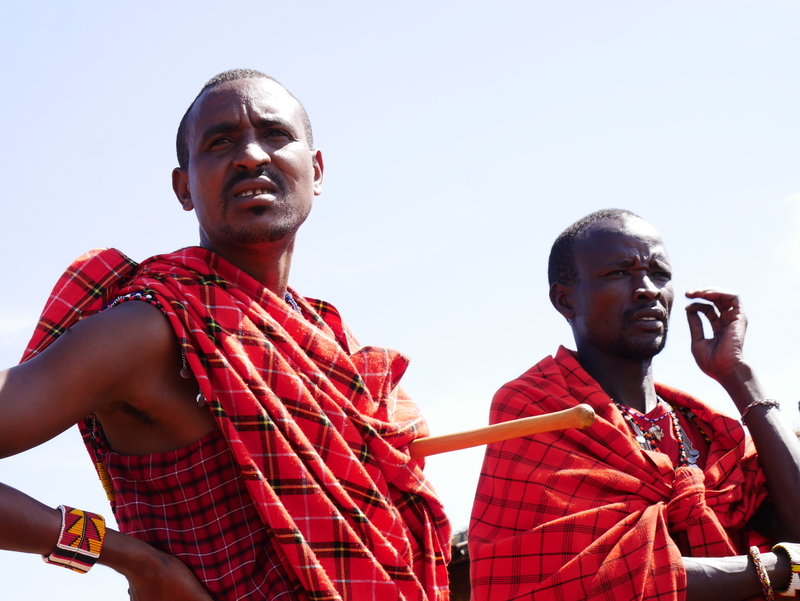 The often harsh environment means that increasing numbers of the Masai community are giving up traditional life and moving to the cities. 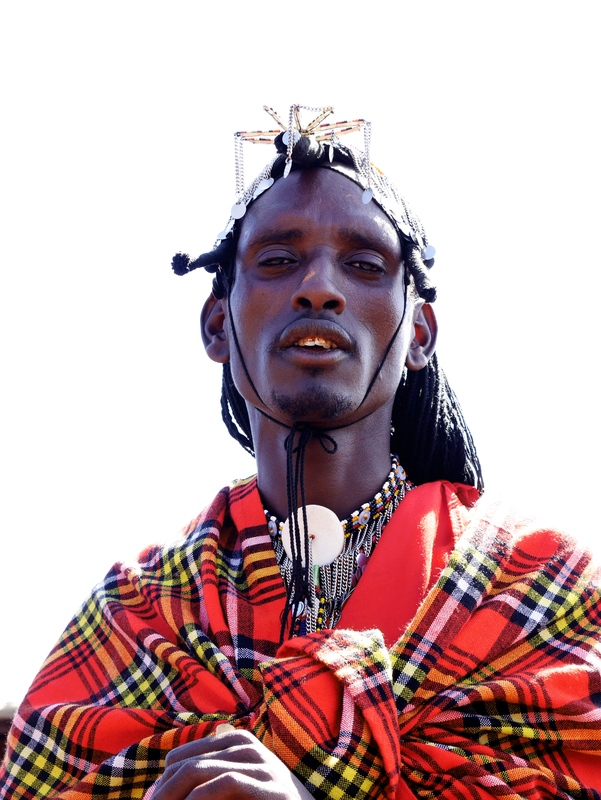 It’s understandable that they are exploring alternative, easier ways of making a living (many have taken loans with Kiva’s partners here in Kenya, to help build new, sustainable enterprises). But it does seem that even those who have chosen to move away, still retain a strong connection to their culture and traditions. So that was my very brief glimpse of this rich and complex culture. I feel I need to finish on just one final note of clarification. For anyone looking at these pictures of tartan clad warriors with strange customs, and feeling confused: they are not Scots. 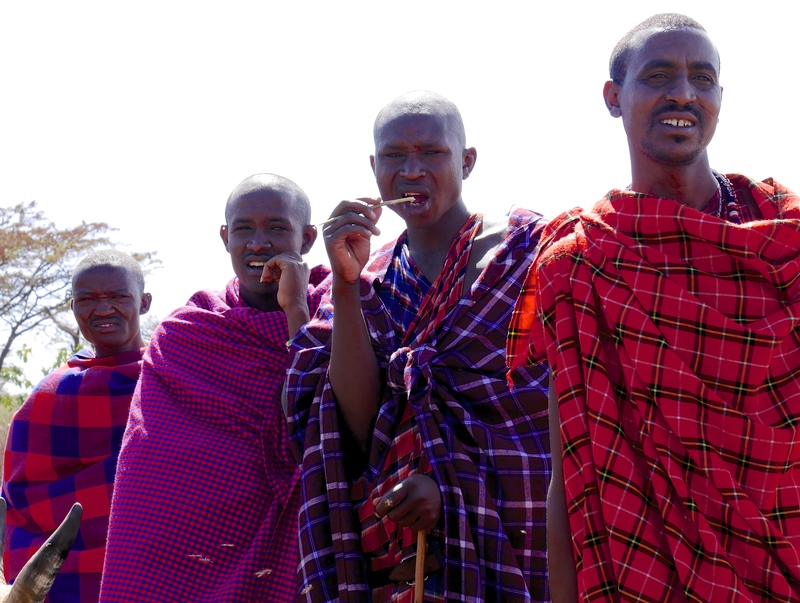 The Masai do not mix their blood with oatmeal and fry it. And they have already achieved their independence from the English.